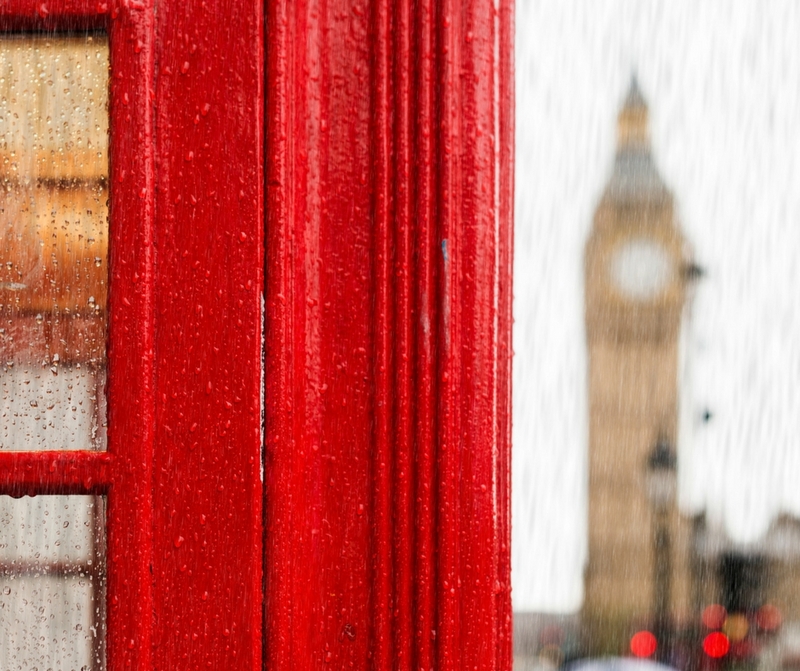 Your suitcase is packed, your tickets printed: next stop, London! You’ve planned it all: the long walks along the Thames, a stroll on Portobello Road in Notting Hill, a picnic in a royal park… That was without counting the possibility of rain. Don’t despair, London will be no less exciting. Here are 30 ideas to save the day! The Tate, the V&A, the National Gallery, the Natural History Museum… All these iconic museum keep their permanent collection free to the public: you only pay for the themed exhibitions. How brilliant! 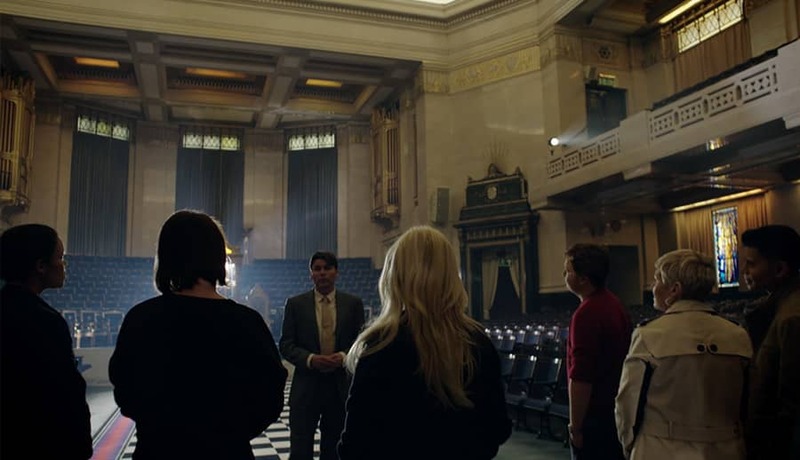 If this is not your first time in London, though, why not try something different and go behind the stage. 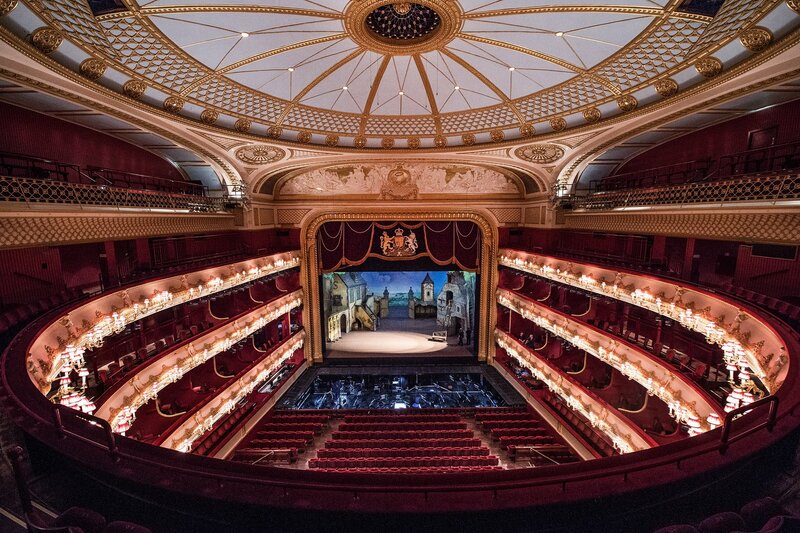 The Royal Albert Hall will show you its incredible architecture, the Royal Opera House the costume room, the National Theatre the incredible logistics to change the decors. All come with lots of fantastic anecdotes. The most famous is the Crypt Café, right under St Martin in the Field’s church (Trafalgar Square), which regularly has jazz evenings. For the wow effect though, try the Host Café, in St Mary Aldermary. Its stunning sculpted ceiling, like exquisite lace, makes it the best place in town to sip your espresso. The brutalist architecture of Barbican is home to an exhibitition space, a cinema and… a tropical garden, open to the public on Sundays. You may glimpse weddings, private events, photoshoots even. Canary Wharf too has a garden, a rooftop but sheltered one. Look out for the piano there to improvise a mini concert :). We’re also big fans of the Sky Garden, 155 m high in the city, under a stunning glass roof. 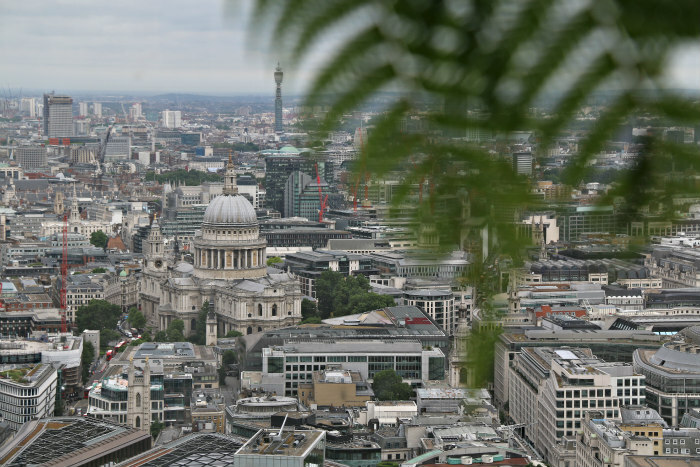 You will have London at your feet, a view on the Shard, a choice of restaurants and bars. Bonus: the entry is free, juts book a slot online. 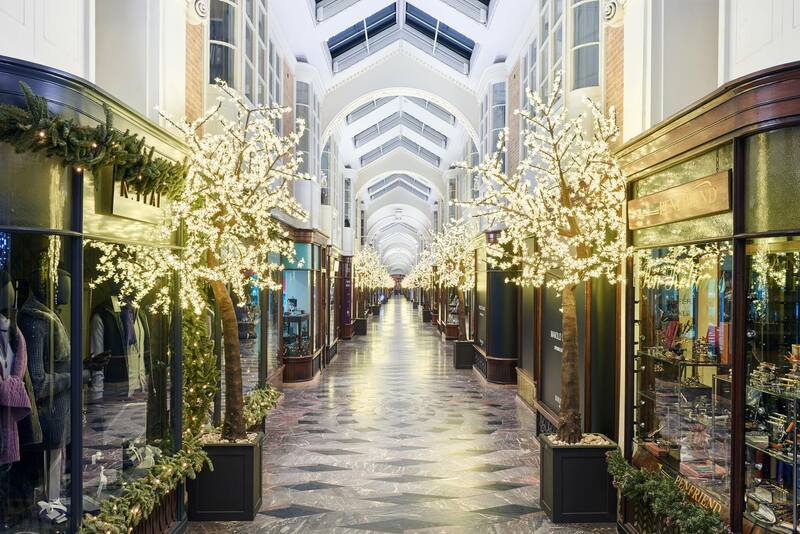 Try the famous shops of the Covent Market, the foodie haven of the Borough Market, the Harry Potter worthy Leadenhall Market, the narrow passages of the Camden Market… We love the covered galleries near Piccadilly, Burlington Arcade being a favourite. A real journey in time. Gentlemen still stop by to get their shoes polished there. 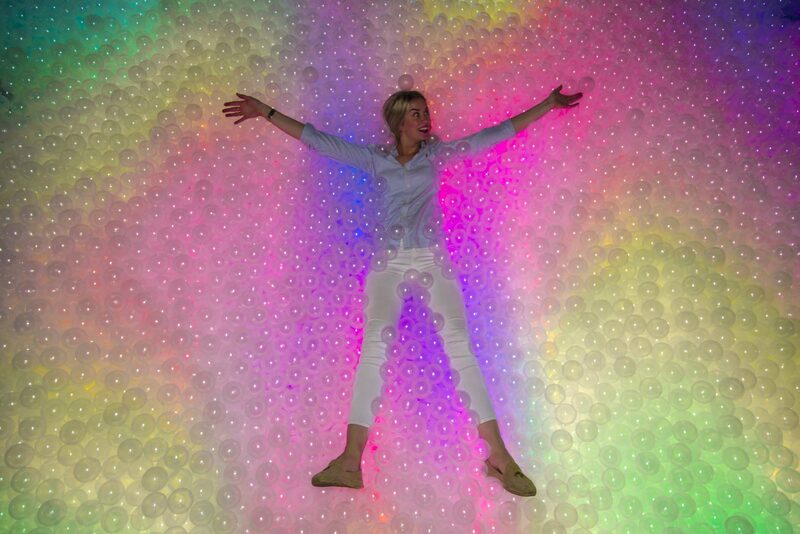 There are lots of funky bars in London. Draughts has over 500 board games. Flight Club is dedicated to darts but offers a gentleman’s club atmosphere, Bounce to ping pong, Bar Kick to table football. The more adventurous will try… urban axe throwing at Whistle Punks. Alternatively try Bingo, once an old fashioned activity, has gone back to being trendy – try the Bingo Academy in Camden or in Waterloo for example. For online games, you can find reviews here. London, like New York, loves musicals. There are plenty to choose from: Les Misérables, Charlie and the chocolate factory, Wicked, The Phantom of the Opera… Have a look at the Theatre gallery in the V&A – some of the most iconic costumes (The Lion King, War Horse….) are featured there. No worry – this will still be fun. How about free jumping on trampolines at Oxygen? 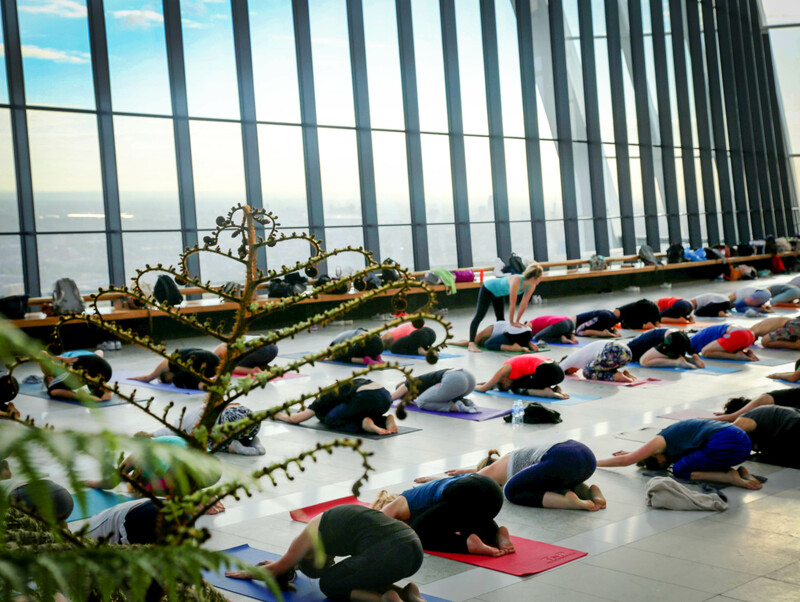 Doing yoga with a view at The Shard or at the Sky Garden? Swimming in the 2012 Olympic Games swimming pool? In 2008, Banksy had organised a street art festival in the Leake Street tunnel, right by Waterloo. He succeeded to make it a legal graffiti zone: yes, anyone can come and tag the walls, any time of the day. Including you! It’s become a famous setting for photoshoots and video clips. House of Vans is in the very same tunnel. 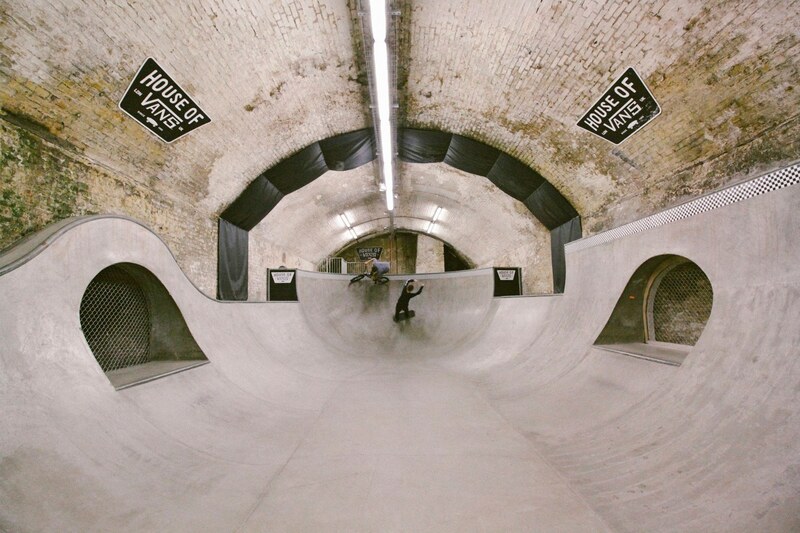 There’s a café, an art gallery, a mini screening rooms and… an underground skate space. It’s free too! We’re going to London this month and this was a definitely interesting read! I had no idea that the museums were mostly free and it’s an amazing news! We already had the Borough Market on our list of things to do, I can’t wait to go now! Fantastic post! I love the sunshine, so I’m always disappointed when I arrive at a destination along with the rain clouds, but with a list like this I’ll certainly not get bored! 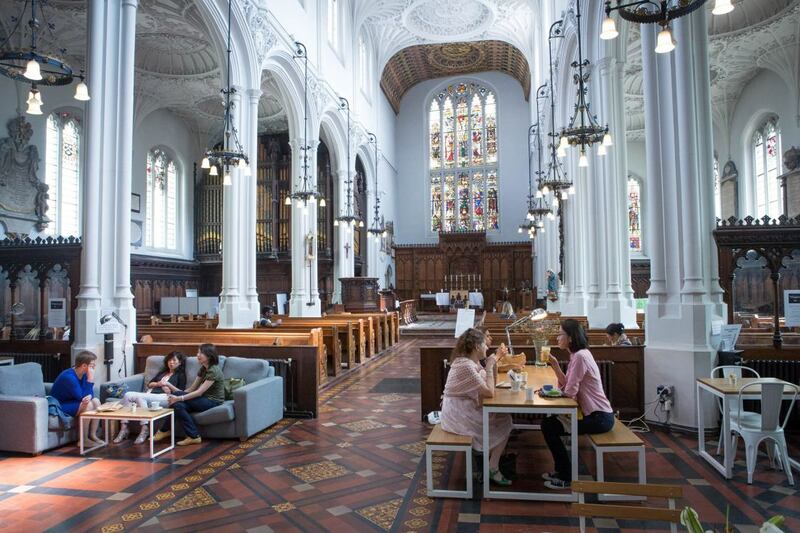 I especially love the church cafes – I’d never heard of that before! This is an amazing list! I’m so impressed with the variety of things you list, not just eating and drinking. I would love to do a bookshop crawl and have tea in a church! Thank you for sharing these off-the-beaten-path places. How much I love this blog post! London is such a cool city with so many cool things to do. The yoga place looks awesome too – thanks for this recommendation! @Jenia It’s one of my favourite places in London… Such a sweet spot! @Erica Edwards Fully agree – I love taking pictures and a rainy day makes things tricky… but it’s sometimes a wonderful way to discover a different side of a city 🙂 There are a few church cafés in England – sometimes to keep the community closer as people go less to church these days, or to bring funding for renovations… I have seen a few empty churches turned into wonderful creative spaces too! Given how much rain we get, this is a great list and I’m saving it to pass on as I’m so often asked by friends visiting for ideas for poor weather and I always struggle to think of things until it’s too late! Our museums are definitely the first obvious answer as we have such variety. My favourites are the Natural History Museum and the British Museum. The Crypt Cafe is a great call and lovely to have a coffee and cake there. I’m noting down the tropical garden in the Barbican as I had no idea and have never visited!!! Love the suggestions for bars offering something extra in the form of a pastime, whether board games or darts or bingo! Theatre and musicals are good, and there are lots that aren’t big ticket prices. Afternoon tea is a big one, so much of my life is food oriented!! !